How to retarget on text messages? Marketers are being asked to do more with less whether your marketing department has a multi-million dollar budget or barely one at all. For some marketers, this can present a huge challenge. For the brave and adventurous, this presents an excellent opportunity. This gives you the chance to rise to a level you never thought possible. Want to increase your email campaign open rates? Perhaps try testing out different days and times to send out your emails. Want to see an increase in search traffic to your website? A link outreach campaign might be in order. However, at some point you’ll maximize the ROI for each individual marketing tool leaving you to wonder if you can come up with any creative twists to squeeze out just a bit more. Perhaps there is another creative avenue worth exploring. What is it? 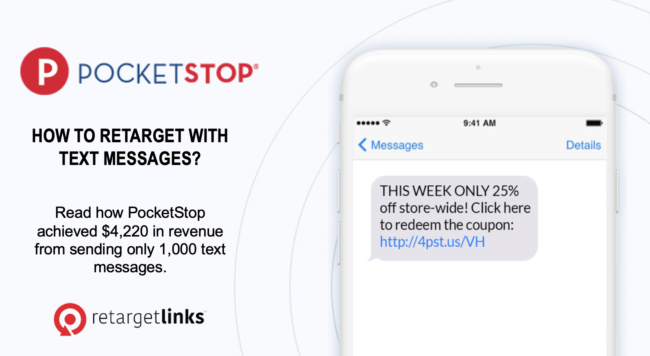 Text message marketing combined with retargeting. This may sound like a crazy combo similar to pickles and ice cream (don’t knock it until you try it!) but it makes perfect sense. How? Text message marketing has incredibly high engagement rates. How high? It has been shown to have 98% open rates smashing email open rates which average around 20%. In fact, it has been reported that 29% of recipients click on links with 47% of those going on to make a purchase leading to a 14% conversion rate. 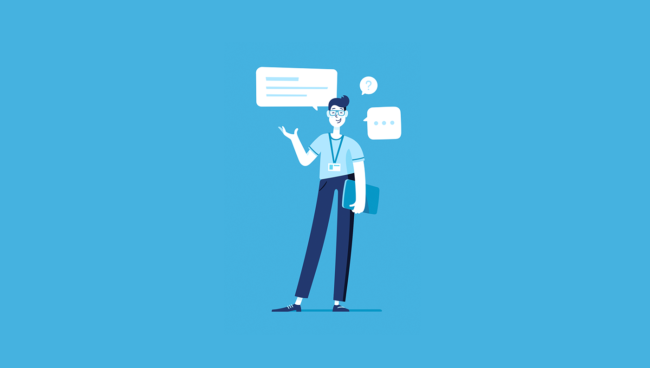 Those stats are nearly unheard of for other tools as long as you’re using the right SMS marketing software to manage and track your campaigns. Why do we have such high engagement rates? Because our mobile phones are always within an arm’s reach combined with the fact the average person spends 4 hours per day on their phone. This makes it imperative for brands to use text message marketing to make sure they’re always in front of their customers. 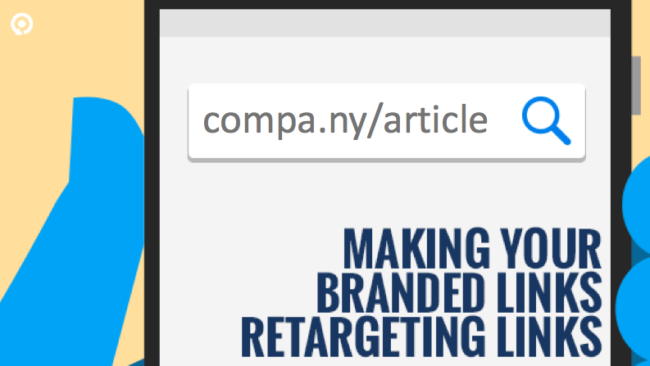 That take cares of one side of the equation but now let’s take a look at the other: retargeting. When used properly, retargeting can serve as a great 2nd chance to market to customers who were not yet ready to buy when first engaging with your brand. Why? It has been found that 70% of retargeted customers are more likely to complete a purchase compared to cold-traffic visitors to your website. This is usually because a customer simply needs more convincing to spend their hard earned money so retargeting provides you with that second chance. 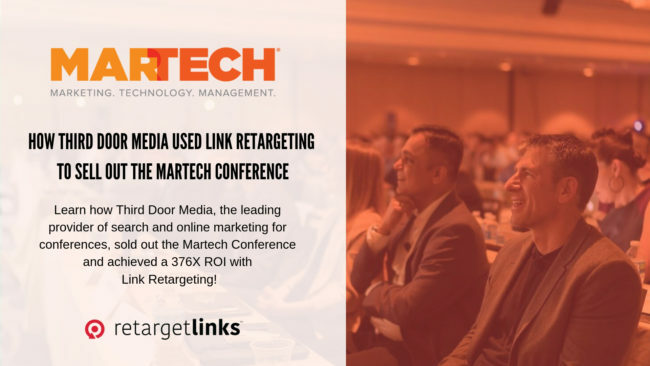 But when it comes to retargeting, most people typically think of website and display networks which can pose a challenge if you want to bring text message marketing into the mix. The challenge now becomes how to marry these two tactics. Remember the stat about how 29% of text message recipients click on links? That is the key because any link you include in a text message must be shortened to track performance and conserve on precious character space. 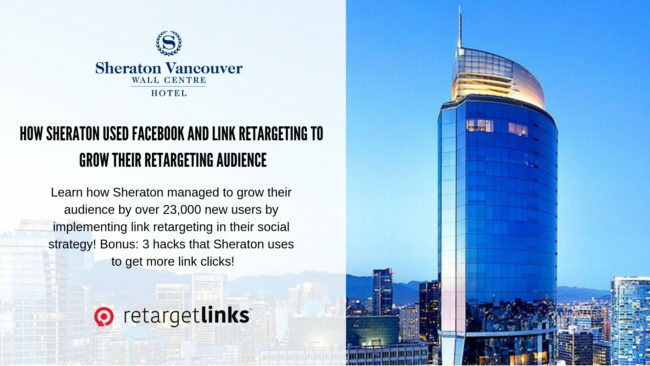 Using a tool like RetargetLinks lets you retarget every link you share giving you the ability to create powerful synergy between these two powerful tactics. Want to create even an even higher impact? 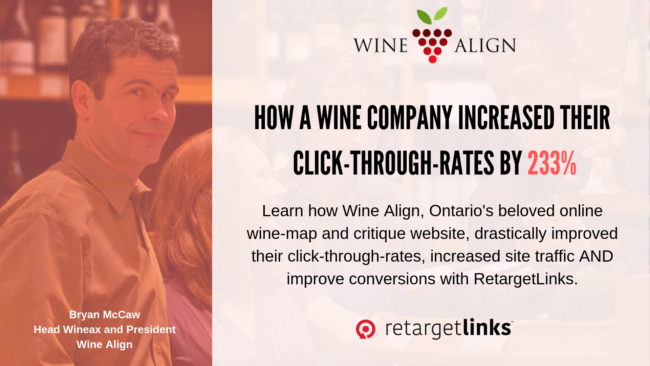 You can turn those retargeting links into branded links enhancing your brand recognition with customers which leads to more clicks to your intended destination. Segment Your Database – Customers do not have uniform tastes and preferences. Therefore, you need to segment your customer database by gender, age, personal preferences, etc. This will ensure not only are your messages better received but any ads shown through link retargeting are more impactful. Create Persona-Based Ads – If you are not showing the right ads to your customers through link retargeting then the hard work you put into segmenting your database will be for nothing. Therefore, it is important to create ads that contain verbiage and images that speak to the different audiences since this will pay dividends in terms of conversions i.e. sales. Collect Metrics – Famed management consultant Peter Drucker famously said, “You can’t manage what you can’t measure”. The same holds true for text message marketing and link retargeting. This means analyzing data points the number of SMS recipients, how many messages were delivered, and URL clicks. Afterwards, you will want to see how many ad impressions were delivered, the number of clicks, and what sales were made. However, make sure you first have goals in place so you can accurately put these any data in context to determine if your campaigns were a success or if there is a need for improvement. With all that being said, let us walk through how this may look like in the real world by using a retail store as an example. Assume you have a text marketing database with 5,000 individuals. In addition, you have gathered data showing females between the ages of 18 – 25 are your best customers generating 70% of your store’s revenue. You’ve segmented your SMS marketing database and have found 1,000 individuals who fit this profile. In addition, you want to run a holiday promotions campaign and send out a text message to this segment of 1,000 individuals with a branded retargeted link urging them to buy a new scarf priced at $20. Not too shabby, huh? What kind of campaign ideas could you come up with for your business by marrying text message marketing and link retargeting? Daniel Wagstaff founded Pocketstop to focus on solving an organization’s largest communications issues by using proven technologies in unique ways ensuring solutions are simple, efficient and delivering measurable business results. Daniel has 20 years of experience working with clients to ensure their B2B and B2C communication strategy motivates and drives the desired behavior. Before Pocketstop, Daniel worked at Aerotek, the largest private recruiting firm in the world. If you’d like to see your story here, get started by shortening your first link! Have questions on where we might fit into your strategy? Let’s chat. 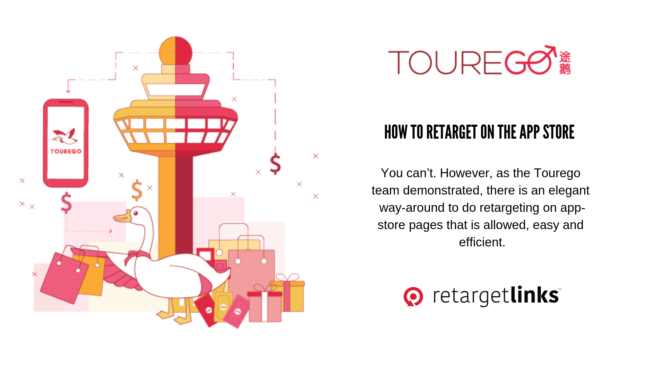 Can You Retarget On The App-Store? 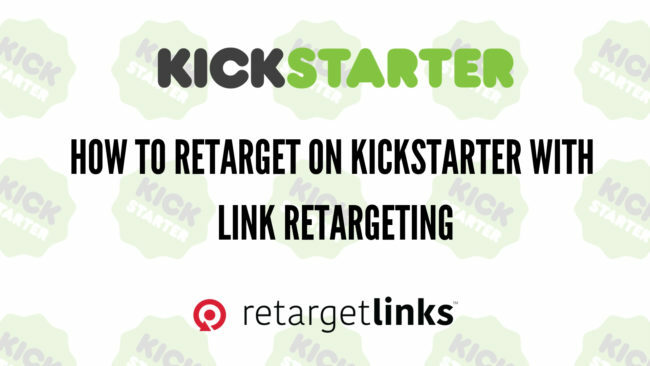 Can You Retarget On Kickstarter? 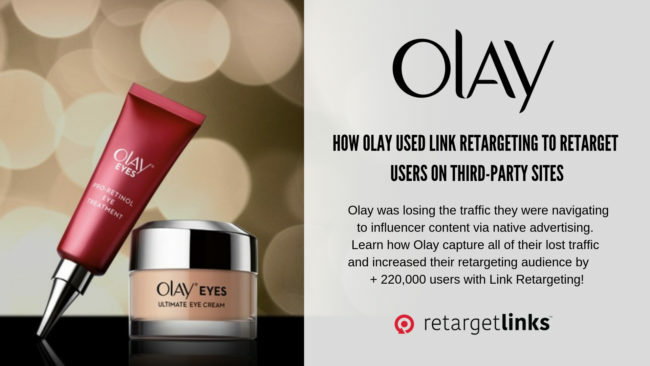 How Olay Increased Their Retargeting Audience by 73%!